Jingling bells, trees adorned with twinkling lights, snow blanketing the streets with a glittering carpet of a trillion crystals… and irate motorists haranguing each other for parking spaces at the local mall – yep, it’s nearly Christmas! 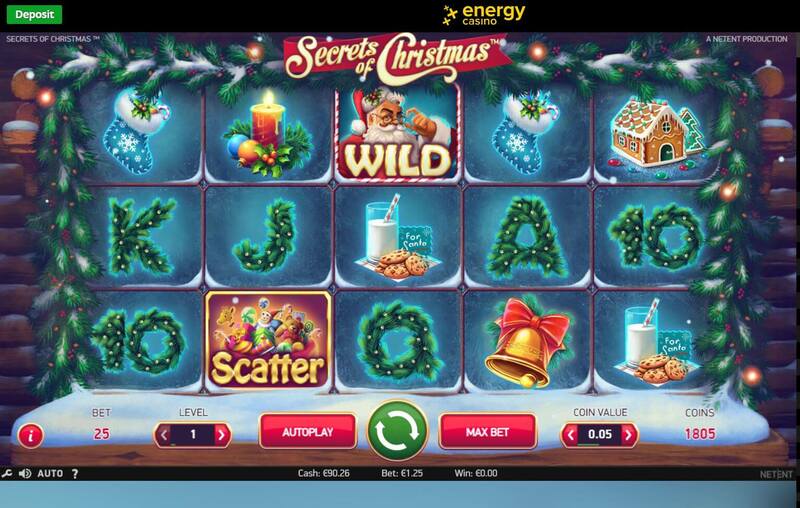 We say it’s probably best to stay warm and cosy inside, put your feet up, have a mince pie or two and enjoy the wonderful selection of magical Christmas slots at EnergyCasino! Yes, that’s right, we’ve got a selection of the finest festive gaming fare, all wrapped-up and waiting under the Energy tree. First up, warm your cockles with Stunning Snow, new from BF Games – its soooo snowy that even if you live in the desert, you’ll need a snowplough! 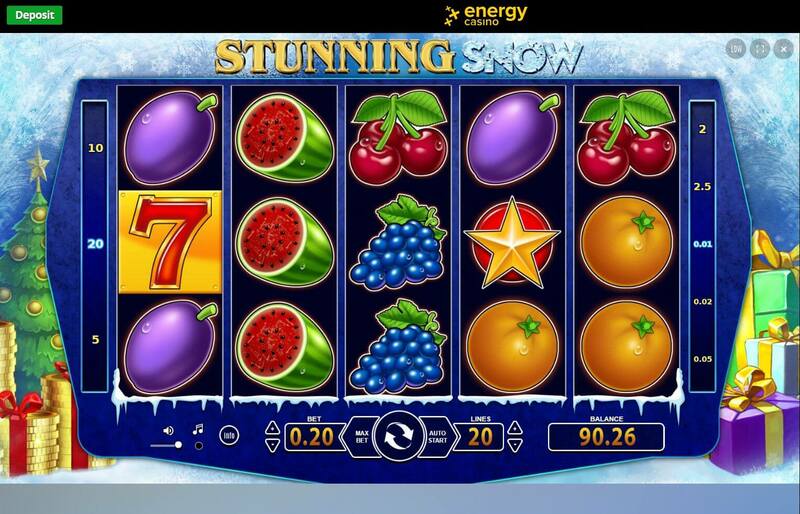 With traditional fruit symbols like oranges, cherries, plum, melon, grapes and lemons, with ‘7’s and stars as a scatter, set in front of a Christmas tree and presents, it’s the perfect slot for this time of year! If you’re one of those millions of people who consider the holidays to begin the moment the first TV commercials featuring the red trucks of a certain cola company hit the screens, then you’re going to love Secrets of Christmas from NetEnt. With colourful, nostalgic graphics that take you back to the childhood Christmases you wished you’d had, complete with gift stuffed stockings, wreaths, gingerbread houses and cookies with milk, this slot will overcome even the grinchiest of grinchy tendencies! Not ready to go full-on Chrimbo cheesy just yet? 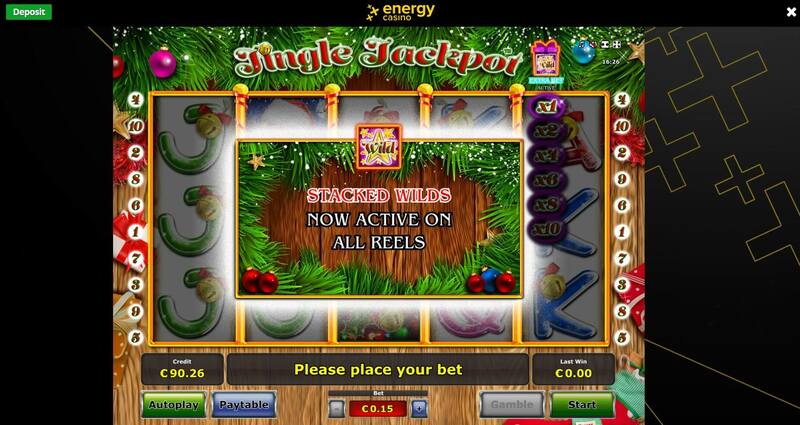 No problems, because at EnergyCasino you can enjoy mildly Christmasified versions of two of our most popular perennial games from NetEnt, in the form of Fruit Shop Christmas Edition and Flowers Christmas Edition! Ah, ok, we’re just kidding, they are extra Christmasified! The Fruit Shop has a snowman AND a Christmas tree, and the flowers have been liberally sprinkled with the snow too! Finally, hang out by the tree with Santa, in Jingle Jackpot – a merry treat bursting with presents, Christmas puddings and holly! Look out for the nicely gift wrapped wilds too! So, don’t forget, take a break from the stresses of Christmas shopping and scraping ice off your car, by indulging in the magic of Christmas slots, at EnergyCasino. And, who knows, you might just win a nice sleigh full of money in time for the big day.